After watching this years elections I have come to the conclusion that the GOP is still not learning its lesson as to why elections are being lost by them. It is simple we are being out organized. Organization will always beat message. Yes the GOP won in 2004 but that was on the strength of GW Bush’s handling of 9/11. The wave of patriotism was still running high in the US and the American people were still behind it. But Katrina changed all that. And that is the metaphor that the GOP didn’t learn in 2005 and is applicable to today’s elections. A better Organization would have beating the message that the GOP was ineffective. FEMA responded slowly to an emergency and was dependant on an appointee to handle things the way every other emergency was handled. But what Katrina exposed was that there was no Organization ready to handle the scale of the problem on hand and in addition there was poor leadership at the top of FEMA. Add to that a democratic party unwillingness to work with the GOP to solve the problem without grandstanding in its own right. So Katrina boiled down to 2 competing messages about who was mishandling the crisis more and who was more able to offer solutions. In that fight we the GOP won the first and lost the second part of the argument. The same can be said of elections. We have now come to the point where the GOP is still very good at offering finger pointing but very bad at offering solutions. So I don’t come here to point fingers. I come today to offer solutions. What this election in 2008 has taught us is that the Democrats have won the GOTV effort. We might point fingers and call ACORN dirty and that might be the case but it is also the truth that these efforts have been very successful in organizing and getting more democrats to vote. We can hate ACORN all we want that doesn’t change the fact that the democrats came into this election with every effort to win it with their ground game. And it is paying off. Organization is beating message. Obama should not be anywhere near winning this election. He is a flawed candidate with major problems. And despite all our best efforts to expose him to the US he is in a position of winning. But then isn’t all Obama either. The democrats have a good chance of getting a congress with a super majority and full control of everything. This sets in motion a dynamic that will resonate for years to come. How did we get to this position ? Simple we kept pretending that things weren’t changing and what worked in elections before would work now. The democrats changed the rules of the game on us and we sat back still playing by the old rules. The simple truth is the current way the GOP runs campaigns is a complete failure. We have not made the significant changes in how we run campaigns to make a difference. Simply put the current way the GOP runs campaigns is more parasitic than symbiotic. The GOP sends out to its base requests for money or volunteers but rarely allows for any feedback or input on how things are done. I myself have gotten numerous requests to donate money or volunteer for a campaign. But rarely am I asked how I feel about events or what do I think can be a better way to do things. I’m simply told to shut up ,put up and give full support to a group that seems to think its base only deserves to be used to replenish it’s money or for free labor. The GOP must evolve into a symbiotic relationship with its base. Our conservative base defines us and defines our values. If the GOP gives the base a stake in it’s elections then GOP itself benefits. Making the base part of the solution and part of the GOP will restore it to the top of the heap. I have worked on several campaign. The entire focus so far has been on “How can we raise money to pay for TV ad or radio ads or Telephone calls” This is a severely misguided narrowing of how to campaign. Communication is the means that campaigns get their message out to the voters. TV was considered from the 1960s on to 2000 to be the “way to campaign”. It was all based on the JFK winning the debates in 1960 via TV, If a candidate could do well on TV that was good enough to win. Reagan was excellent at appearing as the best candidate on TV. But our candidates cant all be Reagans. TV only works for the campaigns that so focus its message and target thousands of people via a single 30 second message. Imagine trying to craft one message that millions can all agree on its nearly impossible. And radio is also the same way as is telephones. The GOP bets the farm that they can create the “perfect message” that can reach and be agreed upon by everyone. You might get lucky and hope your opponent’s message is weaker than yours, but you can’t craft a message that will sell to everyone all of the time. The best way to communitcate is one on one. One person speaking to another person. And its time consuming. But it is the most effective way to communicate. This is the lesson the democrats havent learned yet. GOTV is more than just registering voters. But where the democrats arent working is that they are just focused on raw numbers. They havent learned that an Organization is also the best way to carry a message. have identified must be reminded over and over again to vote. On Election Day, your volunteers cannot be allowed to sit at home or hang out at headquarters. Especially in non-presidential years and special elections, our candidates win or lose as a result of the GOTV effort. To use your assets—time, money, and people—where they will do the most for the GOTV effort, you must have a planned GOTV strategy. They have an idea of how to work it here. They have put in place the organiztion to get the vote out. But any organization must also be used to get the message out as well. And understand this kind of camapaigning doesnt happen over night it is a election to election cycle event. You never stop you keep the organization going on. The GOP must learn that the days of the media driven campaign are over. TV, Radio and Telephone are the short term way to get message and votes out but the real focus now must be on GOTV. I worked on a congressional campaign in the 1990s I got the idea on how to connect to the voters in my area and how to make them as much part of the campaign as more than just a simple vote. I wanted the numbers to change so that an democratic congressman who had held the seat my canddidate was running against. He had been in office for 14 years and his father had held the office for 20 years before that. He had all the advantages. I knew I needed voters. And the way to get voters is to get on their side. People cast a vote as the final act of a political process. To get that vote I had to make them part of the process. And I kept in mind this simple truth. That people are interconnected. If I connect with one person and make a difference with them then I can connect with all the people they have connections to. So I devised a plan. I would offer each and every worker with the campaign something to make them feel they were part of the campaign. The core issues I simply allowed the candidate to handle the voters were my concern. So I went to several people. Each with whatever I felt I could offer them to acheive their goals as part of the campaign goals. I got several college students by talking to their professiorsabout allowing them to give their students college credit as &quot;Interns&quot; in a poltical campaign. Others who joined the campaign I told the candidate would offer to write a letter of recomendation to any job or school they wanted if they were willing to give the campaign a significant offer of involvement. Most were offered pay for part time work that they could give while at other jobs or in school. Still other were satisfied with offers of alowing them to help shape policies that the campaign might adopt. The moral of the story is I was able to create an organization that had a chance to be successful. People were made part of the campaign and with just little gestures I was able to keep most of my workers happy and part of the process. And if I had been able to develope it further I would have trained these workers in the campaigns message and utilized them to get the campaigns message out much more effectively than any TV or radio ad. It possible for the GOP to build the organization that not only beats the competition but also puts forward the message. Only by out organzing and out messaging the democrats will the GOP have hope to win. The days of the TV and Radio driven campaign have gone the way of the dinosaur. The days of organization and making the base part of the organization lays before the GOP. Its organize now GOP or face a permanent status as the minority party. The smoking gun is coming into veiw. The bankruptcy filing of Lehman Brothers is another blow for the hedge fund industry, though the writing has been on the wall long enough for many to have reduced their exposure to the U.S. investment bank, according to Reuters. 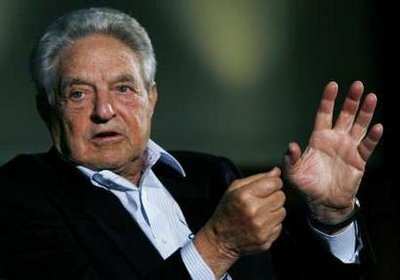 Legendary fund manager George Soros, who runs around $18 billion in assets, looks likely to have had his fingers burned after raising his stake in Lehman to 9.5 million shares in the second quarter, according to the news service. British activist hedge fund Algebris will also probably have taken a hit from the fall in the share price of what was the fourth-largest U.S. investment bank, Reuters said. The hedge fund firm owned just over 4.45 million shares at end-June, Thomson Reuters data show. Algebris sold its stake this year, a spokesman told Reuters, declining to give further details. Dealings through Lehman’s prime brokerage business were also suspended on Monday, which will have caused problems for some hedge funds, though the industry has been seeking to increase the number of banks they deal with to spread risk. The slump in Lehman’s share price is unlikely to have benefited many hedge funds, even though they have the ability to “short” a stock — which is essentially a bet that makes them money when the share price falls. Many had taken their bets off the table in recent weeks following the spike in bank shares in July, and shorting also becomes more costly as the share price falls, because fewer people are willing to be on the other side of the trade. Meanwhile, the slump in markets — the FTSE 100 closed 3.9 percent lower at 5,204.2 on Monday — will prove painful for long-short equity funds, most of which are positioned for rising markets.